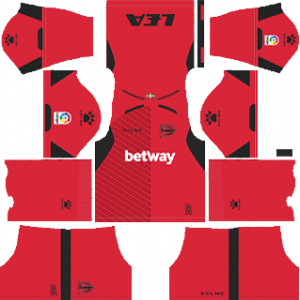 In this article, you can find and download Dream League Soccer (DLS) Deportivo Alaves Kits and Logos 2018, 2019 Edition with URLs. Deportivo Alaves is a Spanish team which plays in La Liga. Currently, they are enjoying their latest season as they are on top form. They are also known by the name of Babazorros in the Spanish media and all over the country. Alaves have a good set of players in their team. They were promoted to the La Liga (highest level of football in Spain) in the 2016-17 season. Alavas is also the runner-up of 2017 Copa Del Rey final against Fc Barcelona in 2017. Alaves play its home matches in Mendizorrotza (home ground). Abelardo is currently managing the Babazorros. The Alaves fans are really excited and looking forward to the 2018/2019 season. In Dream League Soccer you can play with Alaves home and away kits. Just download the kits from the URL provided below. In dream league soccer 2018, you can play with any team’s kit. You can explore our website for other kits to try. We are providing kits for the Deportivo Alaves fans to download the home and away kits and logo. 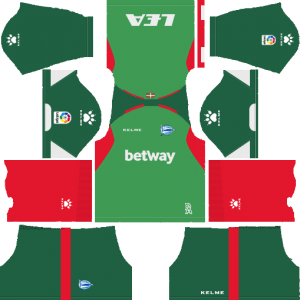 You can download the Dream League Soccer Deportivo Alaves kits from the below URLs. You can use this kits in DLS by clicking the URL to download the Deportivo Alaves team home kit 2018-2019. You can use this kits in DLS by clicking the URL to download the Deportivo Alaves team away kit 2018-2019. 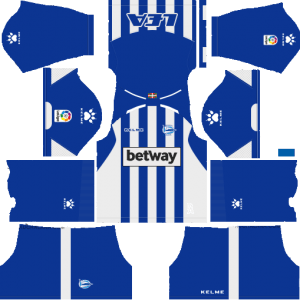 You can use this kits in DLS by clicking the URL to download the Deportivo Alaves team Goalkeeper’s home kit 2018-2019. 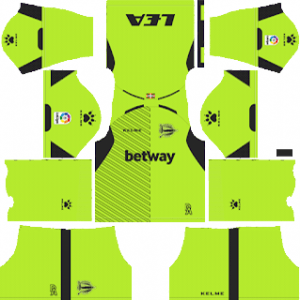 You can use this kits in DLS by clicking the URL to download the Deportivo Alaves team Goalkeeper’s away kit 2018-2019. You can use this Logo in DLS by clicking the URL to download the Deportivo Alaves team Logo for 2018-2019.